Webcast sponosred by Irving K. Barber Learning Centre and hosted by School of Library, Archival and Information Studies (SLAIS). Topic: What good is open data if we don’t know how to find and use it? The digital age has ushered in new opportunities to better understand our communities and demand accountability from our governments. In an intensive two-day master class, digital publishing expert Phillip Smith introduced some of the “working with data” tricks he has learned in over 15 years working with advocacy organizations, publishers and groups such as Civic Access and the Electoral Data Consortium. He is currently working to advance the field of “news innovation” through Mozilla and The Tyee. SLAIS graduat students Josh Rose and Jonathan Kift present on how organizations make sense of data, and to use data to tell compelling stories. Introduction by Gordon Yusko, Assistant Director of the Irving K. Barber Learning Centre. A courageous and timely novel, Tears of Mehndi explores the rich, complex and often heartbreaking lives of a tight-knit community in Vancouver’s Little India. Through the perspectives of several women whose lives intertwine over a generation, Raminder Sidhu deftly exposes the shrouded violence within the Indo-Canadian community, a difficult and often dissembled subject. Sidhu’s characters are women caught between two cultures, struggling to understand the traditions they are obliged to follow while still embracing and often welcoming the fundamentally different values of the West. Through the perspectives of several women whose lives intertwine over a generation, Raminder Sidhu deftly exposes the shrouded violence within Canada’s Punjabi community, a difficult and often dissembled subject. Sidhu’s characters are women caught between two cultures, struggling to understand the traditions they are obliged to follow while still embracing and often welcoming the fundamentally different values of the West. “Tears of Mehndi” captures the family struggles of South Asians in British Columbia, and tells the stories of women caught between tradition and western culture. Sidhu was born and raised in Mackenzie, BC. 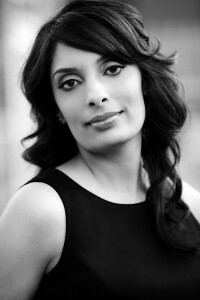 Raminder Sidhu was born and raised in Mackenzie, BC, and now resides in Surrey, BC. She holds a B.Ed. from the University of British Columbia and a BBA from the University of the Fraser Valley. Tears of Mehndi is her debut novel. To register for this event, please find here. Taxono-what? Ok – so this is library and archives jargon, but if you’re familiar with tagging (who hasn’t tagged a photo on facebook or flickr?) the concept of taxonomies is the same – the only difference being that our “tags” can be organized hierarchically, with broader terms, narrower terms, and related terms. For example, the tag “JPod” could be a narrower term of “literary projects”, and could also have narrower terms to distinguish between the television adaptation script, the drafts, and the final manuscript. Last post we talked about the challenges in organizing Coupland’s wide variety of materials into an order that maintains a link to how we received the materials, but also organizes them in a way that makes the fonds accessible and understandable to users. Since we have decided to process the materials in the order received, how then will researchers be able to see the relationships between items? Our solution: taxonomies! Here at RBSC, we are also in the process of migrating our descriptions to a new platform called ICA-AtoM that allows for the use of tags and web-based navigation. ICA-AtoM is an open-source, web-based archival description software that is based on International Council on Archives (ICA) standards, freely available to users (and created by a graduate of UBC’s School of Library, Archival, and Information Studies!). In addition to a lot of other great features, ICA-AtoM also includes a taxonomy module, that will allow us to use a controlled vocabulary of tags when processing the newest Coupland materials. So how will we go about doing this? First, we’ve created a subject list in ICA-AtoM based on the contents of Douglas Coupland’s material. For example, we have “tags” called Generation A and Girlfriend in a Coma that will be used for all files related to these two literary projects. Collage and Calligraphy are two more that will be used for materials related to some of Coupland’s visual art projects. Clicking on a taxonomy word within ICA-AtoM will reveal all other files related to the same subject. 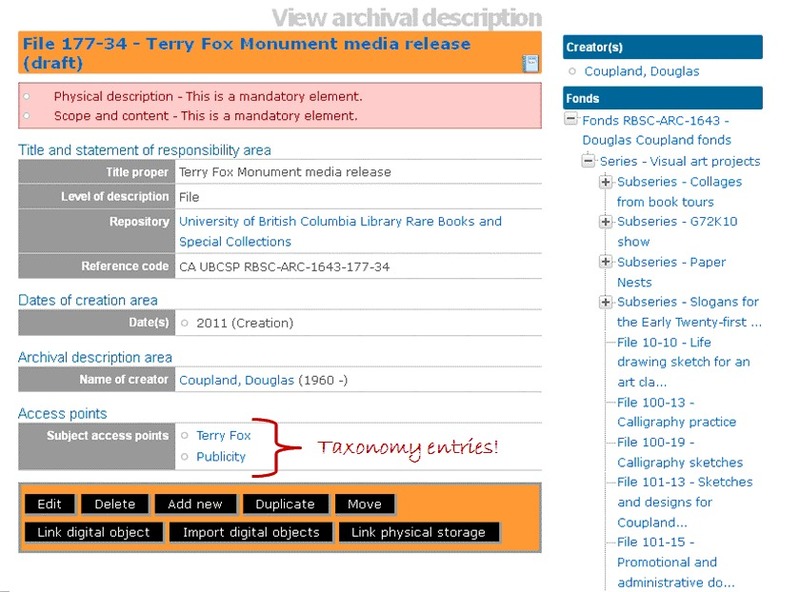 The taxonomy, then, is another avenue of access that patrons can use in addition to the finding aid/file list to find what they’re looking for. Because we are still in the process of figuring out all the projects and subjects covered in this accrual to the Coupland fonds, we are also creating tags “on the fly” as we work; once we’ve finished the initial process and are working on updating the series-level descriptions, we’ll also be managing the hierarchical relationships between the tags, so relationships between tags are maintained as well. This way, if a patron wants to see everything we’ve added about say, Coupland’s Firefighter’s Memorial in Ottawa, they can search the term “Firefighter Memorial” and all the related records will appear. Further, any of these records will have a tag-link included in the description to all the other related records, as well as listing any other related tags. We’re excited to be implementing the first use of taxonomies here at RBSC, and we’ll be sure to update you on our progress as we carry on! Webcast sponsored by the Irving K. Barber Learning Centre. In collaboration with the Vancouver Asian Heritage Month Society’s month of ExplorAsian festival, Jan Wong will read from “Out of the Blue, A Memoir of Workplace Depression, Recovery, Redemption and, Yes, Happiness”. For twenty years, Jan Wong had been one of the Globe and Mail’s best-known reporters. Then one day she turned in a story that set off a firestorm of controversy, including death threats, a unanimous denunciation by Parliament and a rebuke by her own newspaper. For the first time in her professional life, Wong fell into a severe clinical depression. Yet she resisted the diagnosis, refusing to believe she had a mental illness. As it turned out, so did her company and insurer. With wit, grace and insight, Wong tells the harrowing tale of her struggle with workplace-caused depression, and of her eventual emergence … Out of the Blue. Descendents of the Aztec, the Huichol number about 18,000, most of whom live in the sierra of Jalisco and Nayarit. Having withstood the Spanish Invasion, they strive to keep their culture alive and viable, despite the ever increasing physical and cultural encroachment of their Mexican neighbors. Some 13,000 of them have moved to cities like Guadalajara, Tepic and Puerto Vallarta, where they survive by plying their intricate art and handicrafts. Here in Vallarta, the Huichol and their art and culture have found respect and acceptance. Because their art has been on display in many art galleries, and showplaces for their art alone, for decades, they have become an important part of the history of Puerto Vallarta. Huichol art represents their spiritual and religious beliefs, in anything from woven bracelets to colorful yarn paintings, to gourds inlaid with vibrant beads—depicting symbols such as the serpent, the sun, the jaguar, the deer and the peyote cactus. A common feature of Huichol art is the peyote button, the part of the cactus that they consume at least once yearly after they make a pilgrimage of hundreds of miles to desert at San Luis de Potosi or Real de Catorce, (known the Huichol as ‘Wirikuta,’ or ‘Field of Flowers’), under the guidance of their shamans. The experience that they go through under the influence of peyote is not hallucinogenic to the Huichol; instead it is a way for them to connect with their gods and open their minds to the interconnectedness of all things, visible or otherwise. What they see through the consumption of peyote, they translate into their art. These images tell the stories, myths and legends that make up their daily existence. The geometric precision and intricacy of their paintings and crafts represent the unconscious archetypes shared by all human beings. 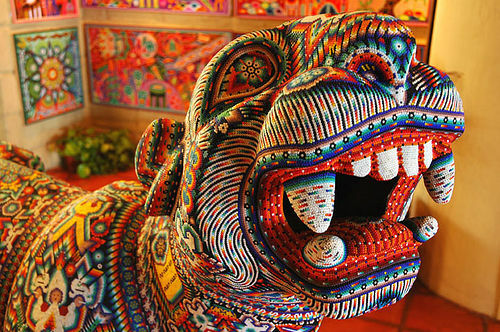 As such, Vallarta has absorbed their culture, as have many other places by means of the art the Huichol have sold to visitors from all over the world. Photos of this exhibition are available online here. This year’s art exhibit “Portraits of Mexico” will include Mexican and Canadian artists. Different types of art, such as watercolor paintings, digital, mix media, oil paintings, etc., will be featured. We will also feature Huichol art from Jalisco and Nayarit; including on site live art by Huichol artist: Mariano Valadez and pieces from artist José Benítez Sánchez, known in the Huichol language as Yucauye Cucame, or “Silent Walker”. José Benítez came to be recognized as an undisputed master of original dramatic compositions, and his knowledge of the culture was respected by scores of other specialists in this medium by 1971. He remains unsurpassed in the fertility and inventive. In collaboration with the Vancouver Latin American Film Festival (VLAFF) we will present the Mexican film: “The Last Christeros”, where the final days of a band of 1930s Christian rebels in the central Mexican wilderness are depicted with majestic stoicism in Matías Meyer’s elegant ode to independence. In partnership with Mexi-Go! we are bringing the first travel and trade expo of its kind in Canada. This trade show will bring Mexican and Canadian businesses together in a two-day Expo that will promote Mexico in Canada. This year’s coveted Independencia Gala Dinner promises to be a night to remember. With a Mexican orchestra, dance floor and mariachi; guests will feel like they are in an elegant yet traditional party in Mexico. We are expecting over 400 people to attend. 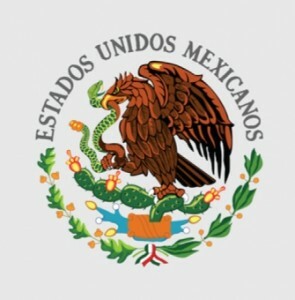 The Fiesta Mexico Independence 2012 is the biggest event taking place during the MexicoFest. This event has activities for everybody and it is open to the general public. Activities include: kids zone, Mexican food vendors, live music, traditional Mexican dances, businesses’ booths, cultural pavilions and more. For this year’s Fiesta Mexico Independence we are bringing from Monterrey, Mexico “Los Claxons”; a Mexican pop and alternative rock band who was nominated for the Latin Grammy in 2010 for best duo/group album. Los Claxons have released 4 albums since 2006, and have opened for groups such as Maroon 5. * This issue has now been resolved. Due to issues with a third-party website, the online Interlibrary Loan and UBC Library Document Delivery services are currently experiencing outages. Any UBC faculty, staff or student who uses these services to retrieve materials will be affected. This does not affect materials in the Automated Storage Retrieval System (ASRS) in the Irving K. Barber Learning Centre. At this time, we have no estimate of how long the outage will last, but we will keep you updated. We apologize for the inconvenience.